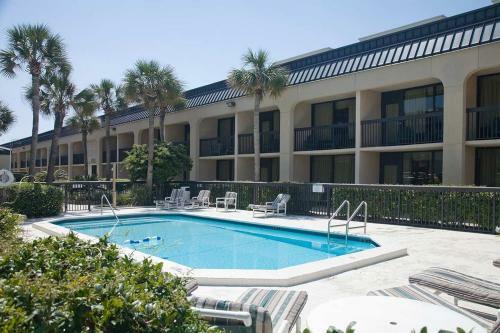 This Fort Walton Beach, Florida hotel offers a free breakfast and free high-speed internet access. The Zoo of Northwest Florida and deep sea fishing are a short drive from the hotel. 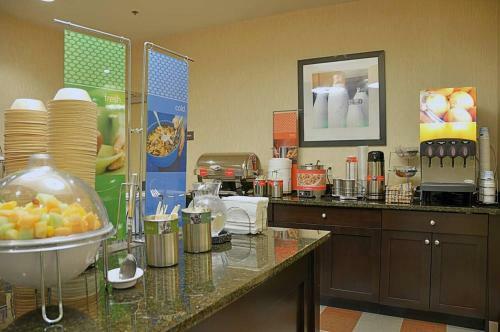 Every room at the Hampton Inn Fort Walton Beach comes equipped with a coffee maker, and a refrigerator. A work desk and bathroom amenities are included as well. 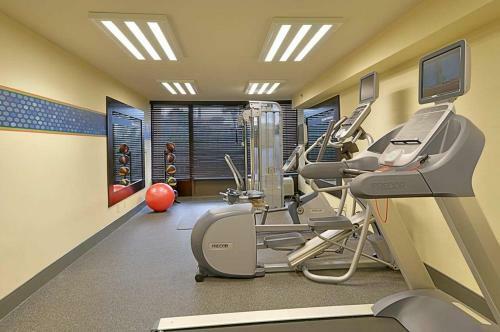 The Fort Walton Beach Hampton Inn hotel features a fitness room and outdoor heated pool. The hotel also offers baggage storage. Howl at the Moon, an entertainment venue, and beaches are within walking distance from the Fort Walton Beach, Florida Hampton Inn hotel. The Eglin Air Force Base and the Emerald Coast Conference Center are a short drive from the hotel. the hotel Hampton Inn Fort Walton Beach so we can give you detailed rates for the rooms in the desired period.